This is 1 of a 2 part blog post covering a trip I made to Cairo, Egypt last year along with how I shot and post-processed the above image of the Great Pyramid at Giza. When the opportunity arose for me and Becki to visit Egypt last year, we jumped at it and one of the first things that we felt we had to get locked in was a visit to Cairo and the pyramids. We were staying in the popular Sharm-El-Sheikh so Cairo was a short planes ride away. Having got up at the crack of dusk to leave for Cairo, we made our way through the ordered chaos that is Sharm airport and watched the sun rise in the cloudless sky from airport terminal. We were met in Cairo by our helpful and smiling guide, Hasan from Falcon Adventure (http://www.falconadventure.com). Our first stop was the Egyptian Museum. After a trip through the busy streets of Cairo including Tahrir Square, a central point for the events surrounding the Egyptian revolution, most recently in 2011, which still has a number of tanks and military personal stationed on and around the square, we arrived before the museum opened, so we milled around the grounds for a short while admiring the ancient artefacts and architecture. We didn’t have long to wait and made our way inside. High rise flats and offices in Cairo, viewed from the river Nile. Shot on my iPhone. The museum houses a huge number of ancient Egyptian artefacts from over the last 5000 years including the Rosetta Stone, giant stone statues of Pharaohs, several mummies including Ramses II and of course, the treasures of Tutankhamen. For me, the Rosetta Stone was really interesting. 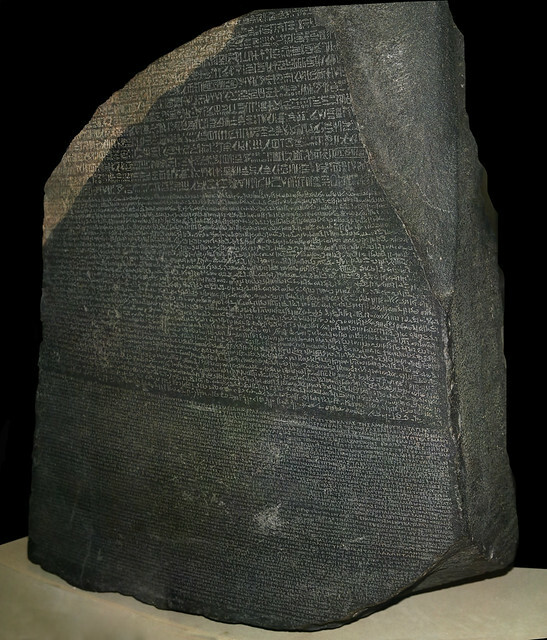 If you don’t know, the Rosetta Stone is a beautiful stele (tablet/slab) made of granodiorite, found in 1799, it is inscribed with a decree which was issued on behalf of King Ptolemy V at Memphis, Egypt in 196 BC. The thing that makes this particular stele interesting is the fact that the decree is written in 3 scripts - Ancient Egyptian hieroglyphs, Demotic script (another Ancient Egyptian script) and Ancient Greek. This gave us the key us to translate and understand Ancient Egyptian hieroglyphics as we do today which had yet to be deciphered at the time of discovery. Unfortunately, the stele on display in the Egyptian Museum is a full-size replica, the original resides over here in the British Museum in London where it has been on display since 1802 which begs the question - surely it’s about time this beautiful artefact went back to it’s homeland? Thank you for reading and I hope you enjoyed this post! Stay tuned to the blog for part 2! Drop me a like over on my Facebook or Twitter to stay up to date and for more photography, travel and tutorials.